SDL MUSIC records and produces contemporary New Zealand Music. The company was established in Auckland, New Zealand in 1988 and was formerly known as Scoop de Loop Recording Studio, and is operated by bassist Neil Hannan. 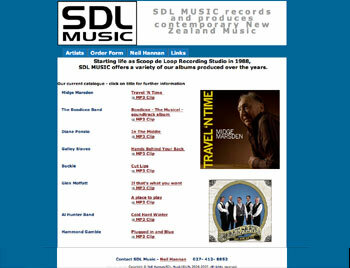 The web site provides information about a variety of albums produced over the years by SDL.